This spectacular spiral galaxy, known as NGC 1964, resides approximately 70 million light-years away in the constellation of Lepus (The Hare). NGC 1964 has a bright and dense core. This core sits within a mottled oval disc, which is itself encircled by distinct spiral arms speckled with bright starry regions. 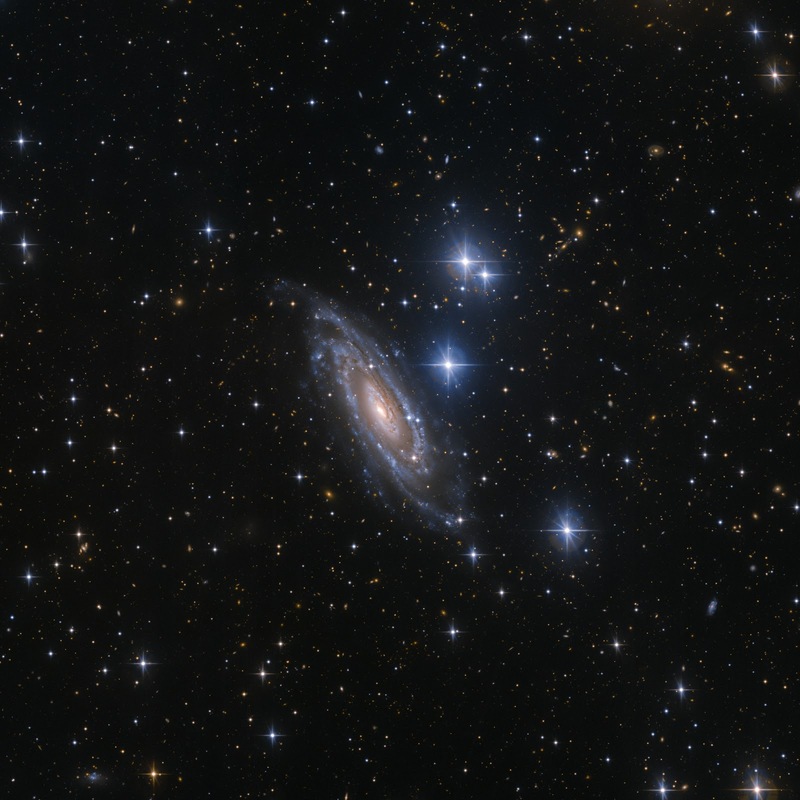 The brilliant center of the galaxy caught the eye of the astronomer William Herschel on the night of November 20, 1784, leading to the galaxy’s discovery and subsequent documentation in the New General Catalogue. In addition to containing stars, NGC 1964 lives in a star-sprinkled section of the sky. In this view from the Wide Field Imager (WFI)—an instrument mounted on the MPG/ESO 2.2-meter telescope at ESO’s La Silla Observatory, Chile—the star HD 36785 can be seen to the galaxy’s immediate right. Above it reside two other prominent stars named HD 36784 and TYC 5928-368-1—and the large bright star below NGC 1964 is known as BD-22 1147.